Need Web Hosting? Try ours, it's fast, reliable and feature loaded with support you can depend on. From £1.60 / month. Many people start their strategies online with standard shared web hosting, simply because they don't expect to achieve the sheer level of traffic that would make dedicated hosting necessary. However, as your website continues to grow, with thousands of new visitors turning up every day, you'll quickly discover that shared hosting isn't enough to support your new audience. Shared hosting can only handle so much, and in a world where customer experience counts, you can't afford to give your visitors anything less than the best. The good news is that you don't necessarily need to shell out for expensive dedicated hosting if shared hosting no longer fits the bill. Virtual Private Hosting or "VPS" could be the ultimate alternative. Here are 7 reasons why a VPS is a better option than shared web hosting. Being cost-effective is an essential concern for any growing business. You need to make sure that your IT spend is cost-effective if you have any hope if out-performing your competitors. Fortunately, a VPS solution gives you the extra functionality you need, without breaking the bank. The best way to look at VPS solutions is as a midway option between shared and dedicated hosting. You get all the capacity you need to allow your business to continue growing, without having to worry about the sheer cost of dedicated hosting. Though shared services do generally work well most of the time, they're not as reliable as VPS solutions. The VPS is a virtual environment, which means that there are no physical components that you're relying on to keep your business running. If the physical server that your VPS is hosted on goes down for any reason, the host will simply move the server over to a backup data centre, so you don't have to miss out on any business opportunities. This is ideal for companies who need to make sure they're online 24/7. 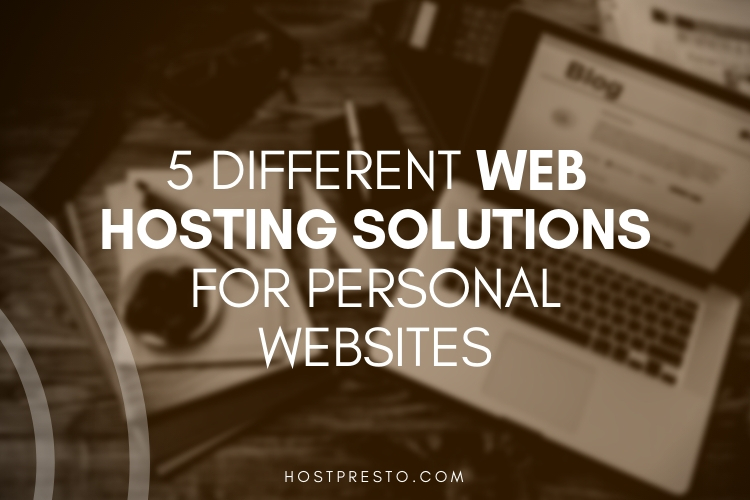 With a shared hosting environment, you're limited in the apps you can use each day, as the tools you access can affect the functionality of other people's hosting accounts. A VPS, on the other hand, gives you complete control over your computing environment, as it's completely independent from the other VPS servers that share your host. You can choose which operating system you want to run, and which apps you need to keep your website as lucrative as possible. The virtual nature of a VPS means that if you need to scale or upgrade your hosting environment to suit a growing website, you can do so with very little effort. It doesn't take a lot of time or complexity to upgrade your package as your business grows. In fact, most VPS providers will offer a range of hosting packages to choose from, each with its own specific level of processing power, storage capacity, memory and more. If you eventually find that your package is too big, you can always downsize to save on costs too. Most experts agree that VPS hosting is far more secure than standard shared hosting, so your growing business can rest assured that its data and website is protected. The main reason why VPS hosting is more secure than its shared counterpart is the fact that VPS instances are all separate from other users. This means that if someone using the same host as you is infected with malware, there's no way for that infection to spread to you. As a managed service provider, your VPS host will usually provide a range of additional security measures for you to take advantage of too, including patching, firewalls, remote backups and more. Finally, to get the best results, today's growing businesses need their websites to run consistently on the best hardware. This makes sure that your sites load incredibly fast, and that your servers can perform flawlessly, no matter how demanding your applications might be. As part of the managed service that VPS hosting companies offer, your software and hardware are both taken care of. This takes a lot of the stress off your shoulders. Finally, as the cost-effective alternative to the dedicated server environment, a VPS allows businesses to use multiple VPS instances to run a selection of unique applications. For instance, if you want to run a completely different server at the same time as your existing server, you can do that without having to spend a lot of money. Doing the same thing with multiple dedicated servers would be incredibly expensive, particularly when you're hosting it all in-house. 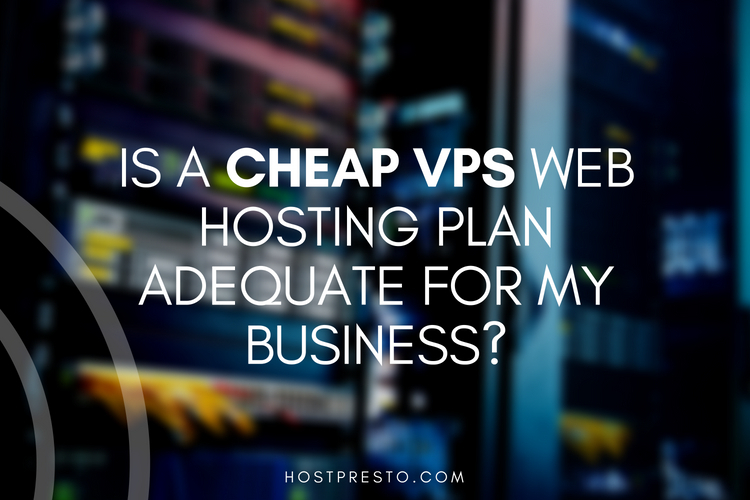 Is a Cheap VPS Web Hosting Plan Adequate for My Business?